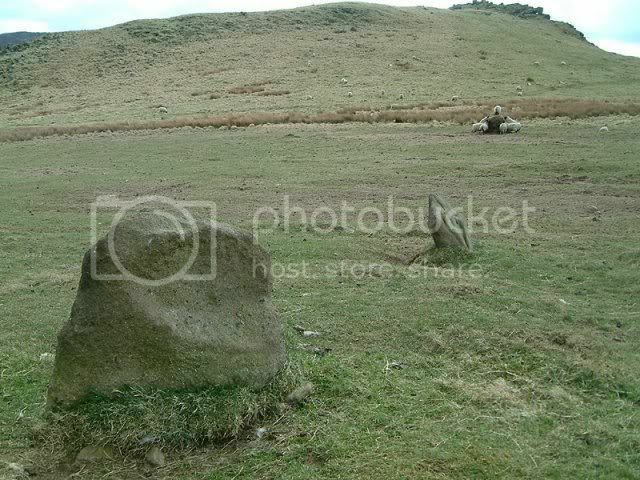 This small circle is located in the shadow of the 2 rocky crags on Crook Hill. Of the 5 stones that make up the circle, only 2 remain standing ( both around 50cm tall ) the fallen ones are becoming overgrown with grass. Small patches of rubble may mean the circle was a kerb cairn. 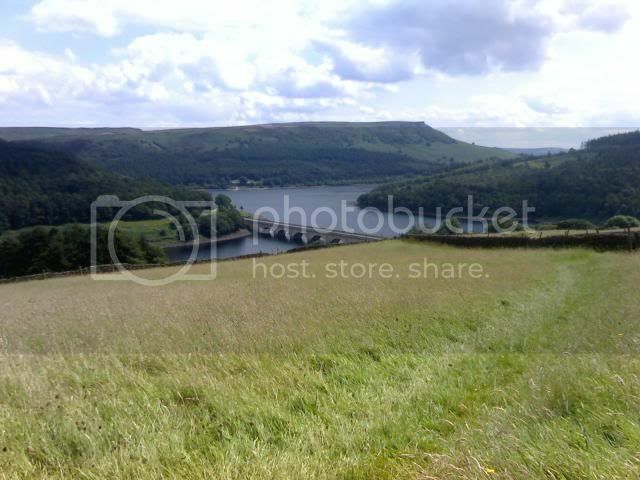 Excellent far reaching views with White Tor and the Salt Cellar in the East, Win Hill and Bamford Edge in the South and the crags of Crook Hill in the West, there's also one of the best possible views to be had in the area of Ladybower reservoir. Please note: Please try to arrange your visit outside lambing time, this small concession is a tiny price to pay to ensure future access. Ladybower reservoir with Bamford Edge in the distance. 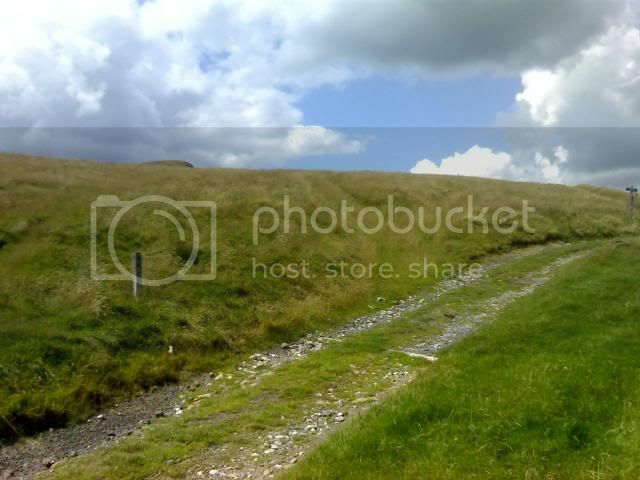 The tractors ruts should be visible between the small post left of picture and the signpost to the far right, take the set to the left.